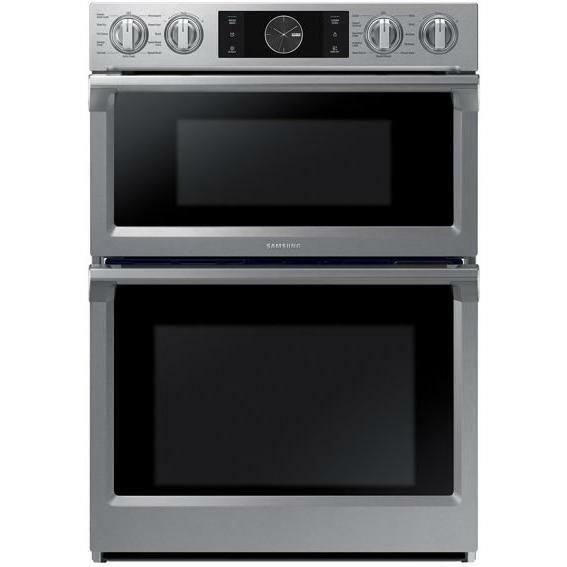 This Samsung 30" freestanding electric range offers a 5.9 cu.ft. 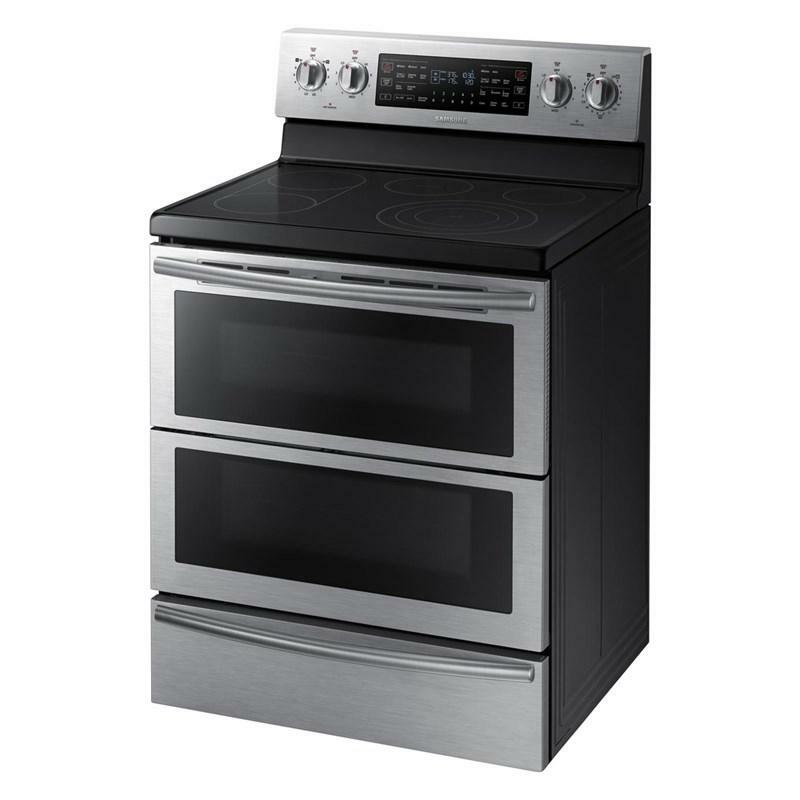 oven capacity, the Flex Duo™ system, 5 elements, a True Convection system and a warming drawer. 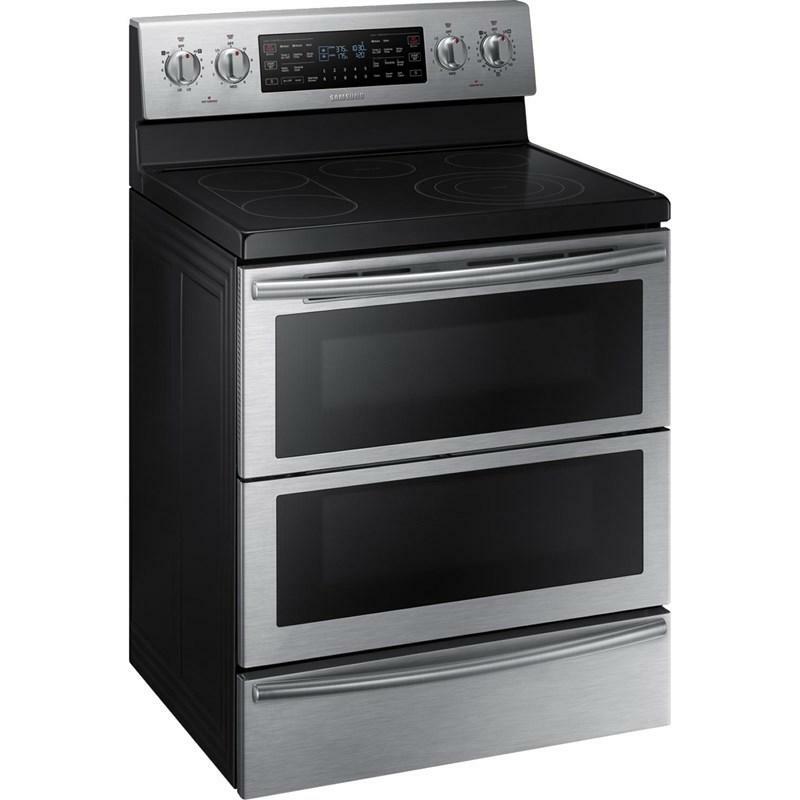 Cook food faster and more evenly with the Flex Duo® Oven’s Dual Convection system. 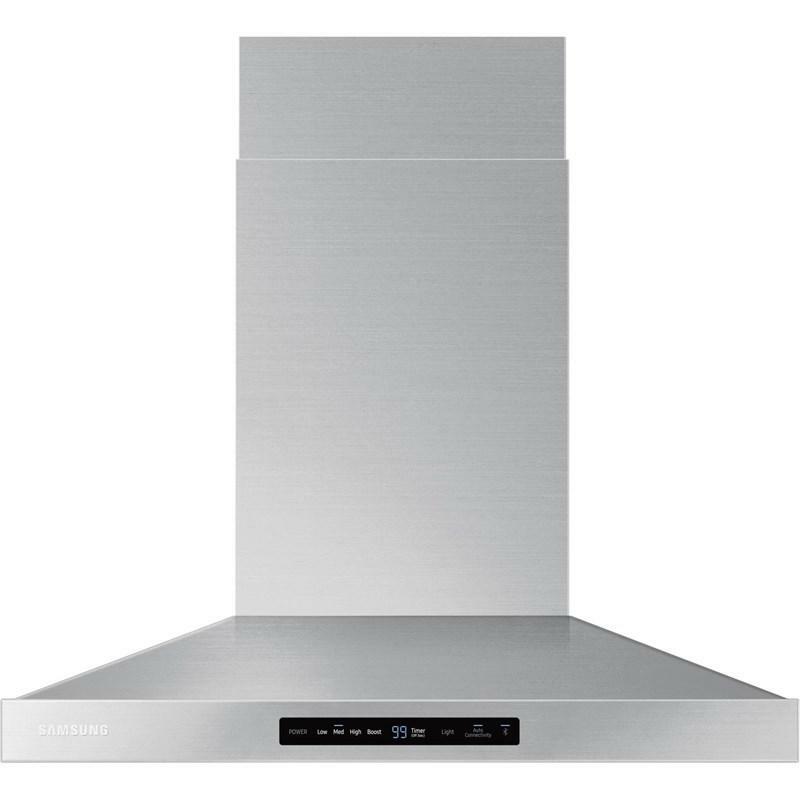 It allows the single oven to split into two ovens with the Smart Divider and also use convection cooking in both ovens. 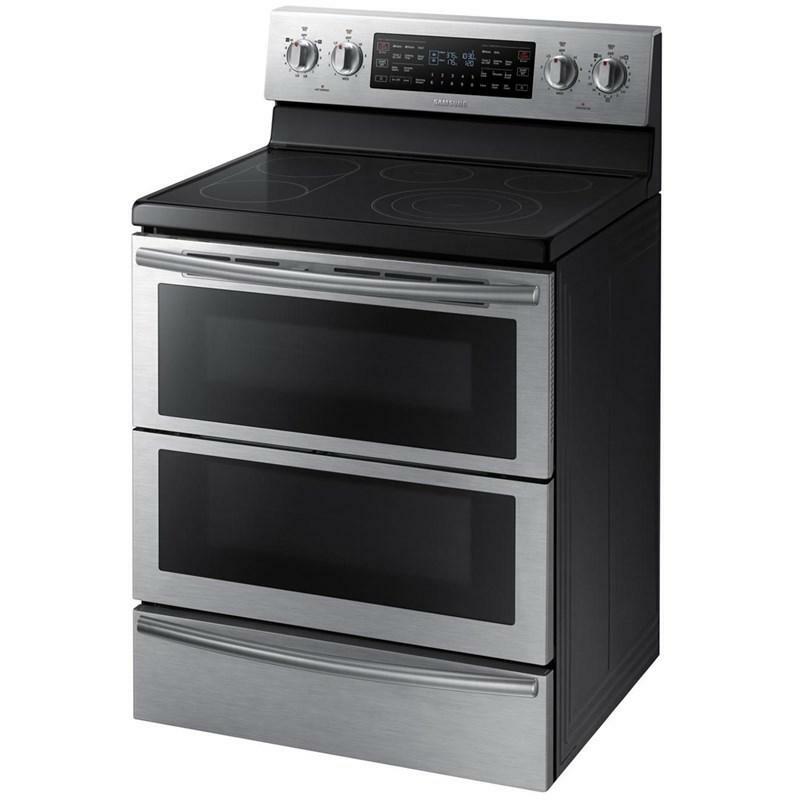 Two temperature controls cook dishes simultaneously at different temperatures. Keep food warm until ready to serve. Always serve food at the perfect temperature when entertaining. 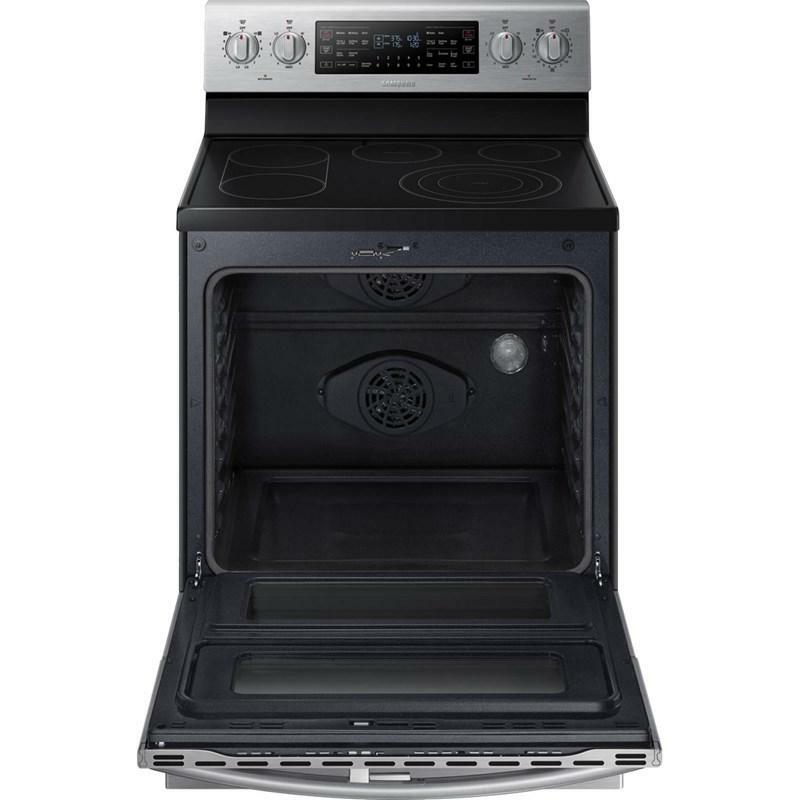 Elevates oven cavity making it easy to slide roasts inside. 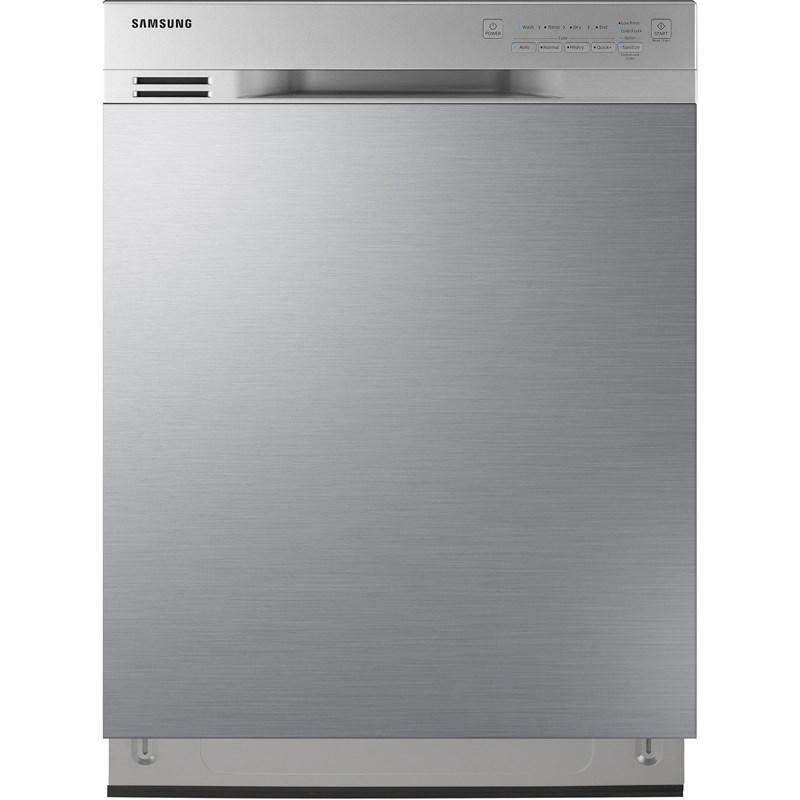 The Samsung oven’s ceramic glass cooktop has a Bridge Burner that can be used as one long cooking zone. So you cook with various shapes of cookware at the same time and prepare everything much faster. 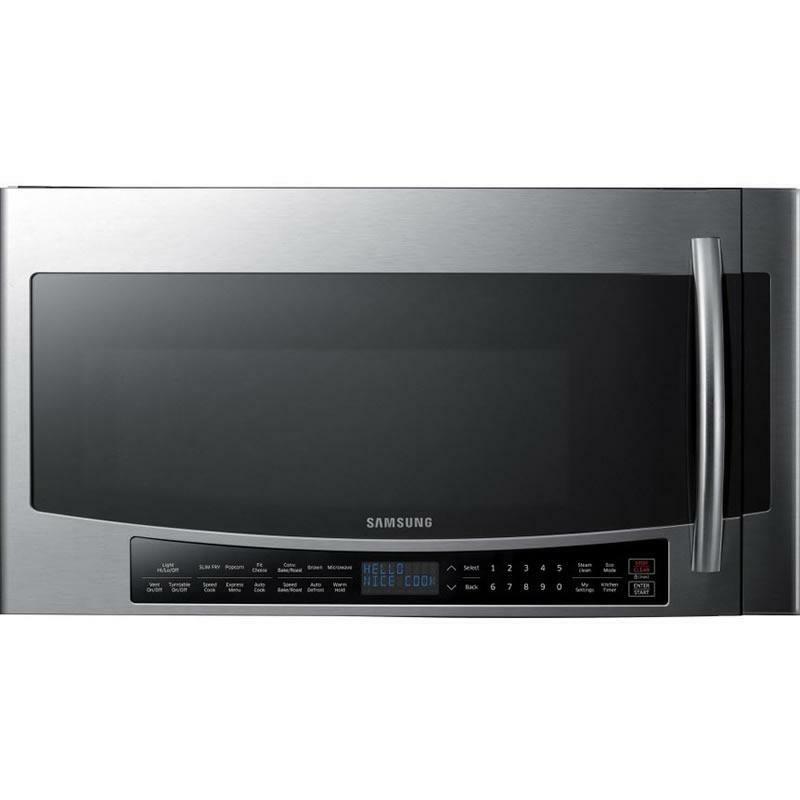 Has an ergonomically enhanced control panel with a clear blue graphic display and separately grouped buttons on both sides that control the top and bottom ovens, so it’s easier to program and control your cooking. 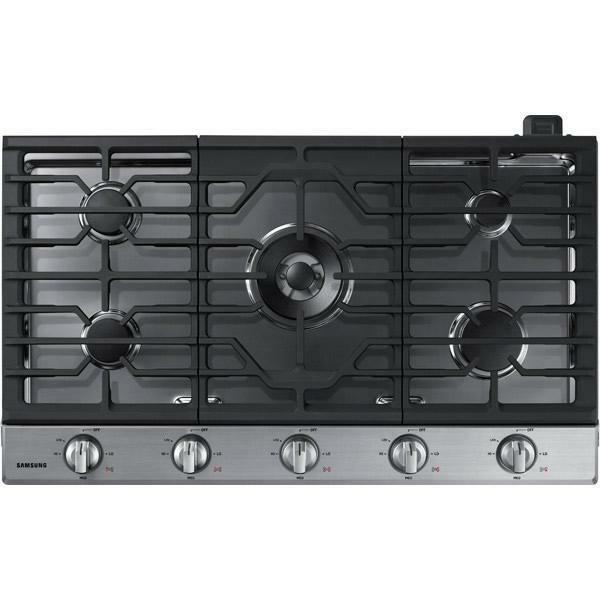 Burner/Element Size • Right Front: 6"/9"/12"
Capacity (cu. 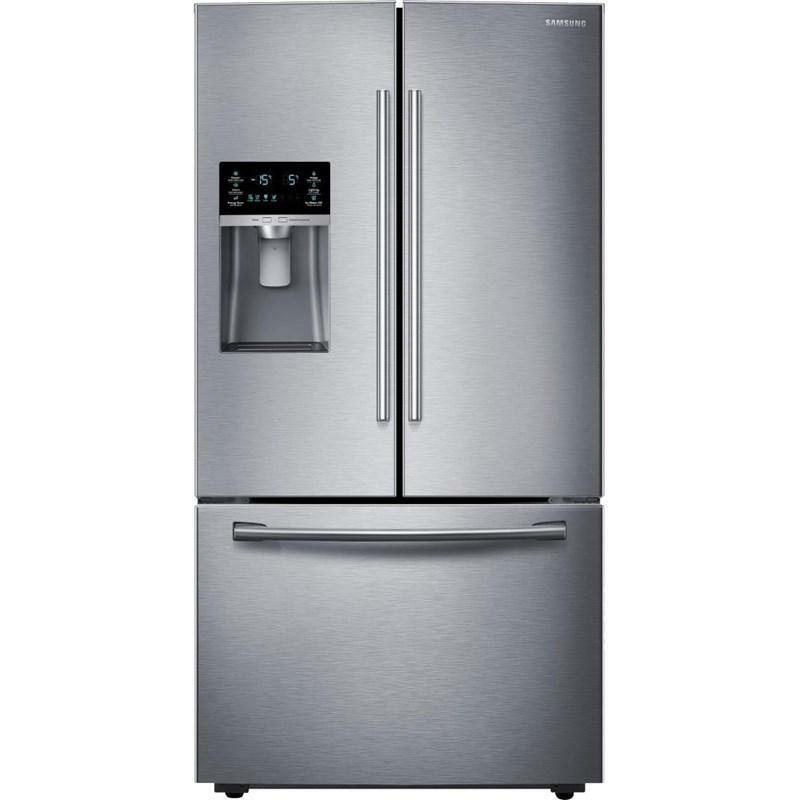 ft.) • Total Capacity: 5.9 cu.ft. 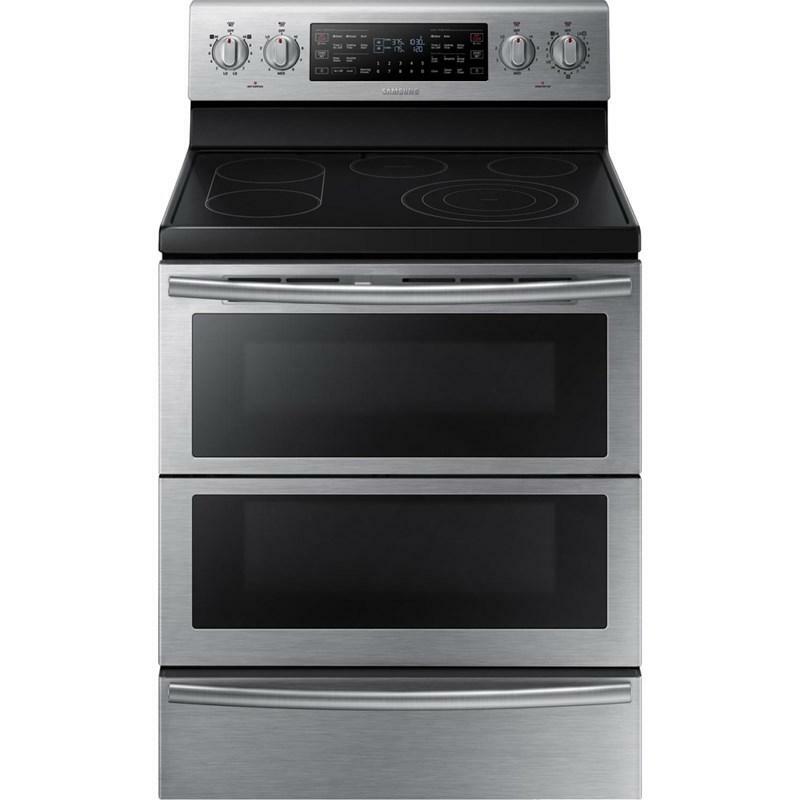 • Upper Oven: 2.6 cu.ft. 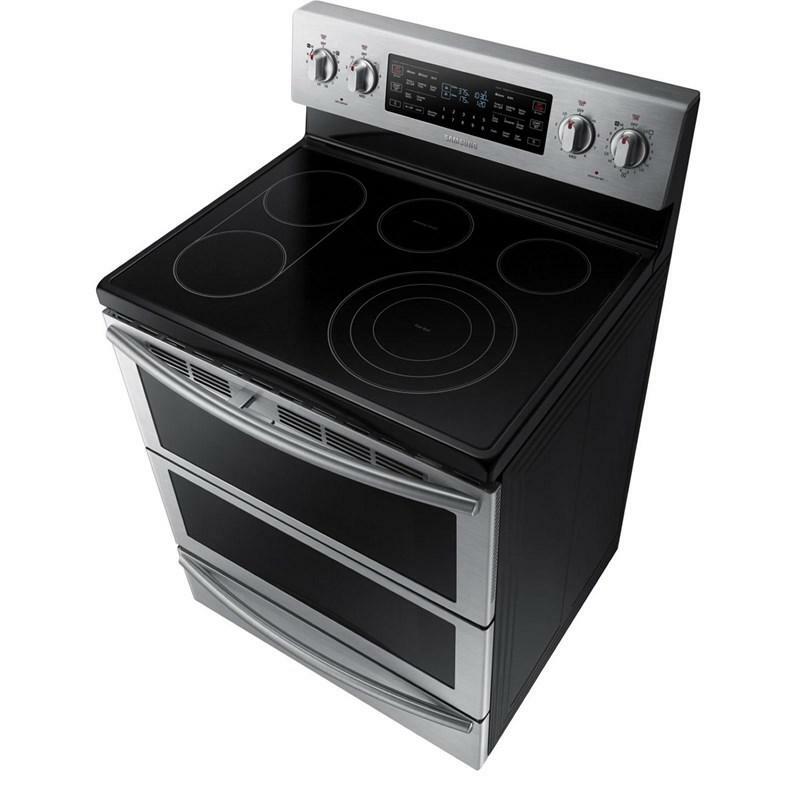 • Lower Oven: 3.2 cu.ft.